Sri Lanka umpire Kumar Dharmasena wins David Shepherd Trophy for ICC Umpire of the Year for the second time. 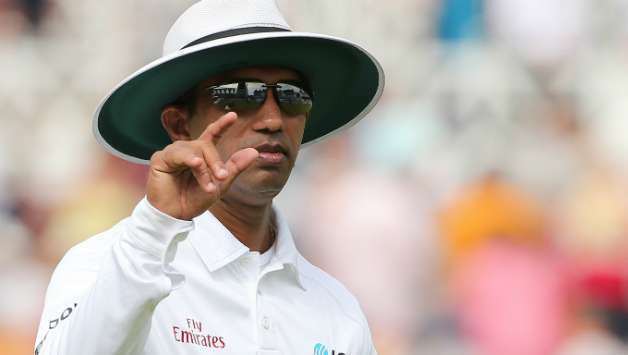 Dharmasena was voted as Umpire of the Year by international captains and ICC Match Referees. “I would like to thank my wife for being the strength behind my achievements and also my kids for their support and understanding. I would like to thank Mr. Peter Manuel, my coach, for his guidance from the start of my umpiring career, together with all the other coaches from ICC and Sri Lanka Cricket. I take this opportunity to thank all my fellow colleagues for all the encouragement and support over the years, without which this would not have been possible” he said. Australia opener Aaron Finch has won the ICC Men’s T20I Performance of the Year award for the second time after his world record 172 against Zimbabwe in Harare last July was chosen by the ICC Voting Academy. Rishabh Pant of India has been named as the ICC Emerging Player of the Year, Scotland’s Calum MacLeod crowned the ICC Associate Player of the Year, Kane Williamson won the ICC Spirit of Cricket award.